In 2007, a joint venture between M& M and Renault of France announced the launch of a compact sedan Mahindra Renault Logan 1.4 Petrol in the Indian market. The car is believed to be one of the most reliable and comfortable cars in this category. The main objective to design and deliver these models is to make the lives better by providing cars having fuel economic engine. Along with the fuel efficiency, the car also ensures to provide an easy entry and exit inside it. With a large boot space of nearly 510 litres, Mahindra Renault Logan 1.4 Petrol appeals the customers from all around the world. It has a perfect combination of style and design and is available in six different elegant colours. The performance of this car lets the driver to experience an enthralling ride in any kind of road in India. With Mahindra Renault Logan 1.4 Petrol you can enjoy the smooth exciting ride as it offers you with the best possible comfort and style. If you want to buy Mahindra Renault Logan car battery online, you should rely only on some esteemed traders like http://www.everyonechoice.com/ as we believe in offering the chief and supreme quality with high standards. To explore more about the car, you can visit our website and check Mahindra Renault Logan car battery price in Delhi, India. 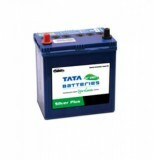 We provide you with the supreme quality genuine batteries at reasonable rates that make it affordable for you to buy batteries for your Mahindra Renault Logan car.